The 2016 NAIAS is opening its gates next week, in Detroit and Audi is already preparing the all-new A4 for the show, the model being expected to hit dealerships this spring from $37,300. The top of the line Prestige will be set at $48,000. 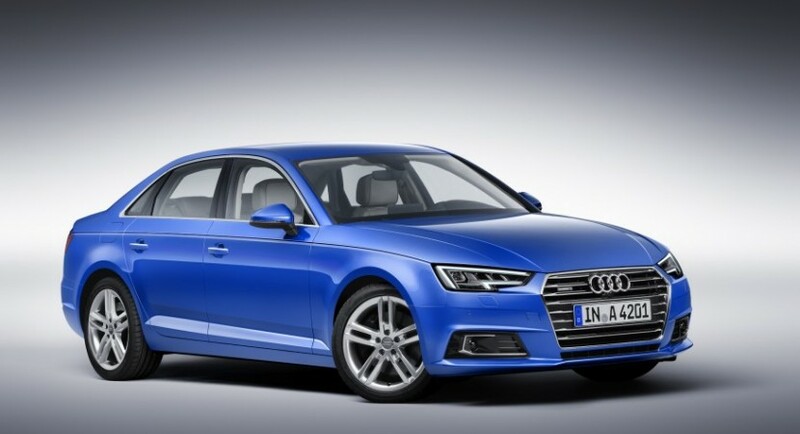 From a visual standpoint, the 2017 Audi A4 comes with new features, like xenon plus headlights, LED daytime running lights, 17-inch alloy wheels and more. Inside, the model is also looking fresh, the cabin boasting with the latest technological enhancements, like the 7-inch display for the infotainment system, color heads-up display, the 12.3-inch display Audi virtual cockpit, 19-speaker Bang & Olufsen audio system and so on. Other interior tweaks include the LED ambient lighting, eight-way power front seats, tri-zone automatic climate control system, power sunroof, three-spoke multifunction steering wheel or split-folding rear seats. The German based carmaker is also offering the Audi drive select system as standard, and comes with the comfort, dynamic and individual driving modes. Under the hood, the 2017 Audi A4 packs a 2.0-liter turbocharged TSI four-cylinder engine, with 252 horsepower and 370 Nm of torque, hooked to a fresh new seven-speed S tronic dual-clutch transmission. The performance figures are not yet revealed, but we should find out more next week.